Hexbyte - Tech News - Ars Technica | Xiaomi’s IPO makes it the third-most valuable smartphone maker - HexByte Inc.
/ Xiaomi execs open the HK stock exchange. Chinese smartphone maker Xiaomi kicked off its initial public offering (IPO) today. 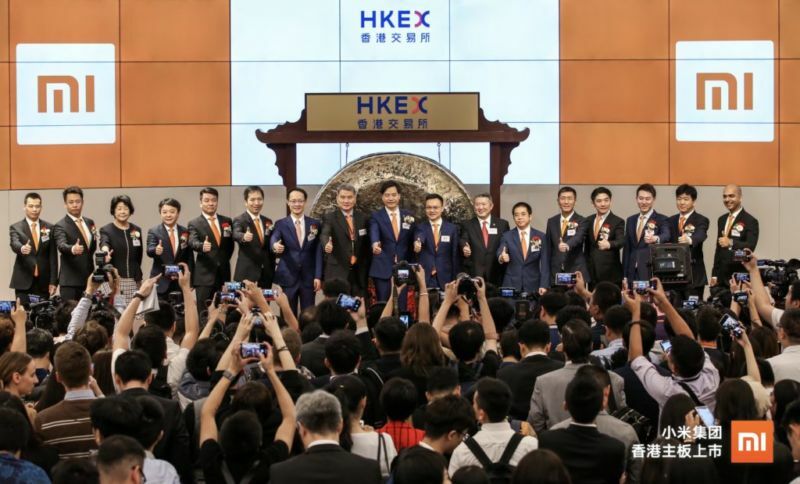 The company debuted on the Hong Kong Stock Exchange under the symbol “1810-HK,” and with the Hong Kong market closed after a day of trading, the stock settled in at 16.80HKD ($2.14). This was down from Xiaomi’s initial price of 17HKD, but it still values the company at around $50 billion, making Xiaomi the biggest tech IPO in around four years. The $50 billion valuation means Xiaomi is now the third most-valuable publicly traded smartphone maker, behind Apple and Samsung, but it’s still a far cry from the $100 billion target the company had earlier this year. Xiaomi is a favorite for making value-focused phones that are cheap but good. Flagships from Xiaomi are often several hundred dollars cheaper than the competition, despite the similar specs. Xiaomi is also great at making cheap phones and iPhone clones, but it occasionally flexes its design muscles and delivers a unique-looking smartphone. The company has a huge product lineup outside of smartphones, including everything from robot vacuums to smart TVs to rice cookers.